Originally published by Saul Solomon & Co. 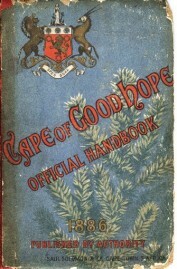 Discovery and early History of the Cape. Temporary Occupation by the British. Roads, Telegraph, Railways, Harbours and Irrigation Works.